The Bike Sale will be September 19 at 10:00 AM. at 7 South Street..
• The sale is open to all Middlebury College ID card holders. • Small groups will be admitted to sale area at 15 minute intervals starting at 10:00 AM. Those at the front of the line will be admitted first. • Student bike shop workers will be available for consultation. • Payment is by cash or check. • Bikes are sold in, “as is condition” and most need some work. • The bike shop will open that morning to provide instruction, tools and used parts for those who want to fix bikes purchased in the sale. This entry was posted in Midd Blogosphere and tagged For Faculty, For Staff on September 10, 2015 by Wayne Darling. 3. Present your student ID card, with sticker attached, at the Davis Family library to check out a bike. 4. Return bike, with lock and key securely attached, within 24 hours, or risk a frozen library account and return fines. Special thanks to Wayne Darling of the Department of Public Safety, as well as Dan Frostman of Library Circulation Services, and all others that helped to make this program a reality. This entry was posted in Midd Blogosphere and tagged For Faculty, For Staff, MiddPoints on April 22, 2014 by Wayne Darling. For those who were unable to attend the Bike Shop bike sale on Saturday, September 14, because of Yom Kippur observances, the bike shop would like you to know that a portion of the sale inventory was retained to provide an opportunity for those interested in purchasing a bike. 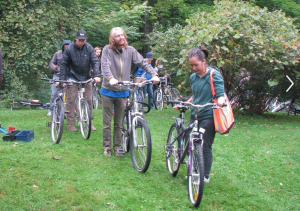 Email the bike shop <bikeshop@middlebury.edu> to arrange a time to see the bikes. This entry was posted in Midd Blogosphere and tagged For Faculty, For Staff on September 20, 2013 by Wayne Darling. 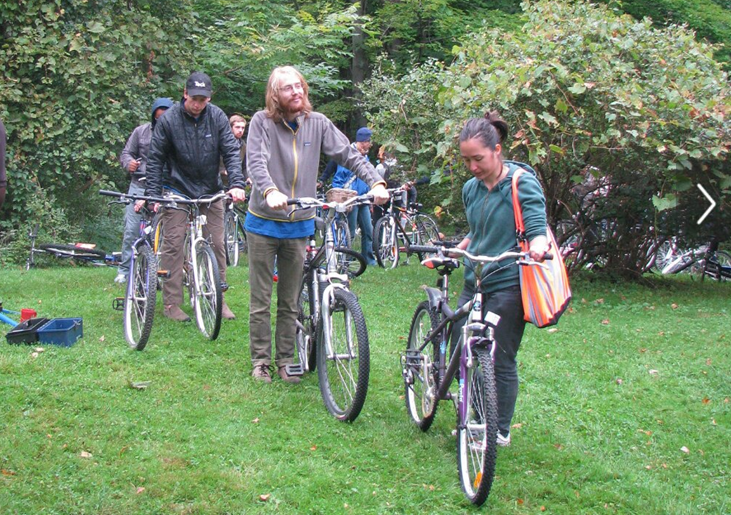 The Student Bike Shop will hold their annual fund raising bike sale the first weekend of the school year. The Bike Sale will be September 14 at 9:00 AM at 82 Adirondack View. The sale is open to all Middlebury College ID card holders. Small groups will be admitted to sale area at 15 minute intervals starting at 9:00 AM. Those at the front of the line will be admitted first. Student bike shop workers will be available for consultation. Payment is by cash or check. Bikes are sold as is and most need some work. The bike shop will provide instruction, tools and used parts for those who want to fix bikes purchased in the sale. This service is free. This entry was posted in Midd Blogosphere and tagged Uncategorized on September 5, 2013 by Wayne Darling.